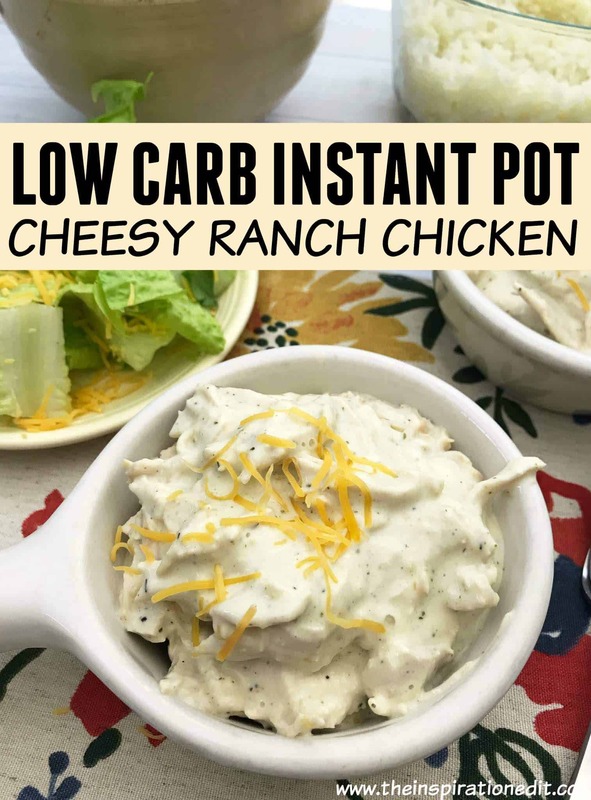 This cheesy ranch instant pot chicken dish is an easy and simple recipe to make. If you’re looking for a fantastic low carb chicken recipe then look no further. 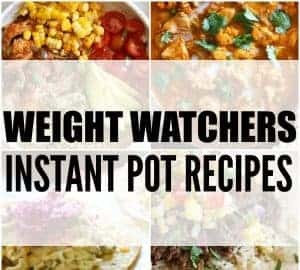 Instant pot chicken recipes happen to be one of my favourites. 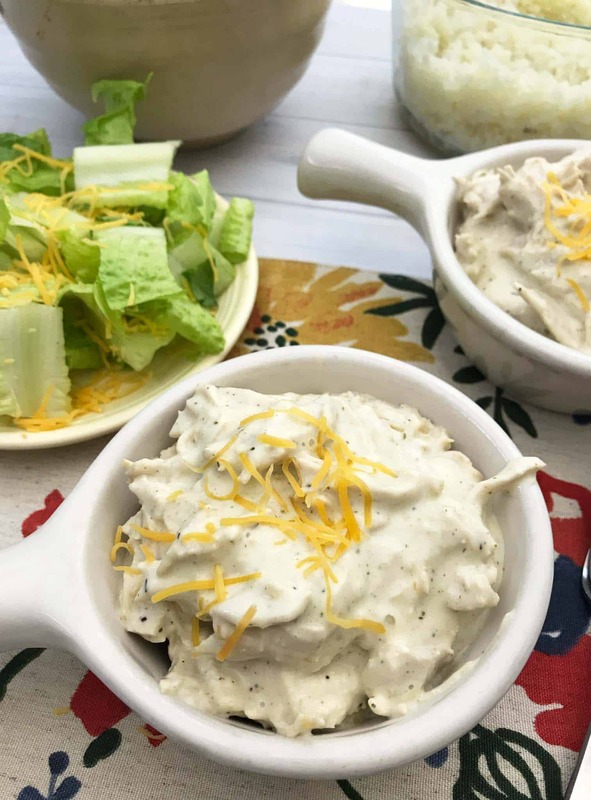 I’m always looking for meals with a good source of protein and today I’m sharing this tasty chicken ranch dish served on cauliflower rice. Did your parents ever give you chicken soup when you had a cold? Mine did and there’s a reason why. Chicken is rich in carnosine. Carnosine is a compound that minimised inflammation and helps reduce that stuffy, congested feeling in your nose and throat. 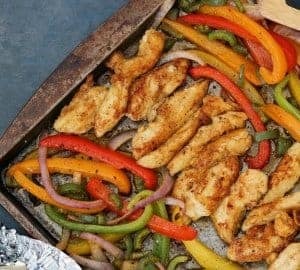 Chicken in rich in protein. It’s a fantastic source of lean, low fat protein which helps to build muscle and maintain a healthy weight level. Phosphorus. Chicken is rich in the essential mineral Phosphorus which is important for your teeth, bones and central nervous system. Chicken contains selenium which supports the thyroid hormone, metabolism and immune function of the body. 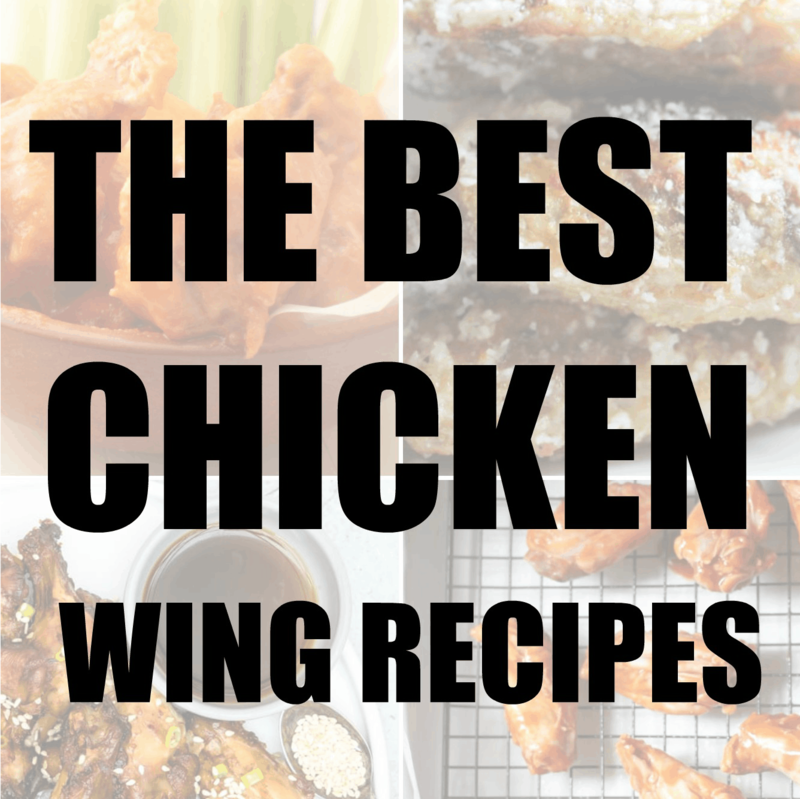 Therefore chicken is a great food to eat when following a diet such as Weight Watchers. 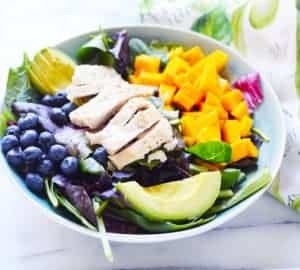 Rich in Vitamin B6 and the B-vitamin Niacin, chicken can help not only boost metabolism for managing a healthy weight, it will also help guard against cancer. Chicken is great for preventing bone loss, helps build healthy tissue and promotes good eye health. 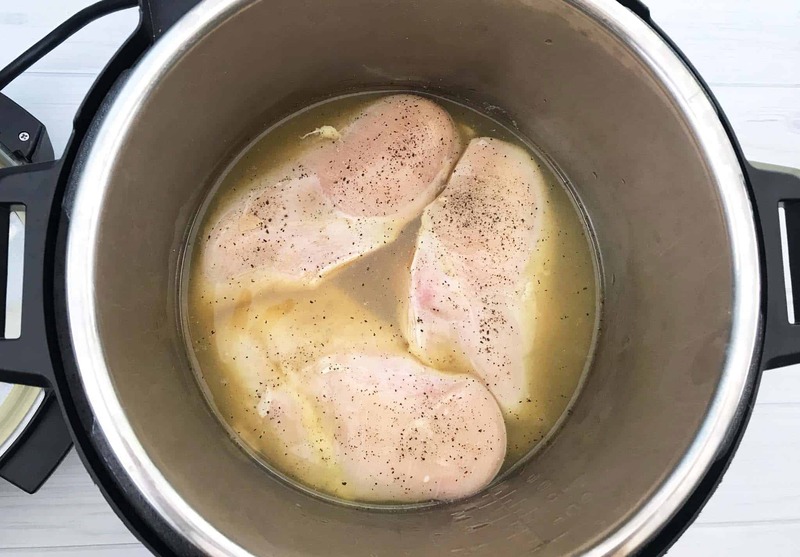 Place the chicken breast in the bottom of the instant pot and season with salt & pepper. Add the cream cheese, ranch seasoning and chicken broth over the top of the chicken breasts. 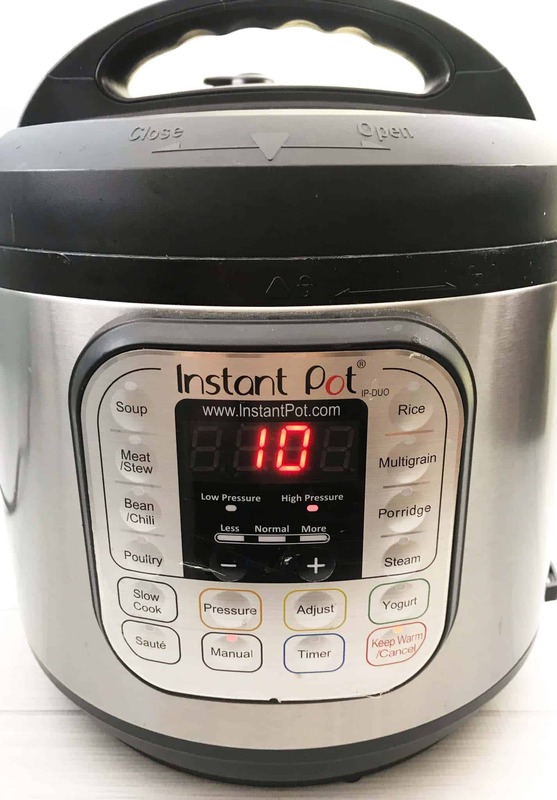 Place the lid on the instant pot and press the manual setting. Set the timer to 10 minutes making sure the quick release valve is closed. Once the timer has gone off after cooking then do a quick release. Remove the chicken and shred using a fork and knife. Shredding chicken in the instant pot is pretty easy to do and I find using two forks the easiest way to do this. 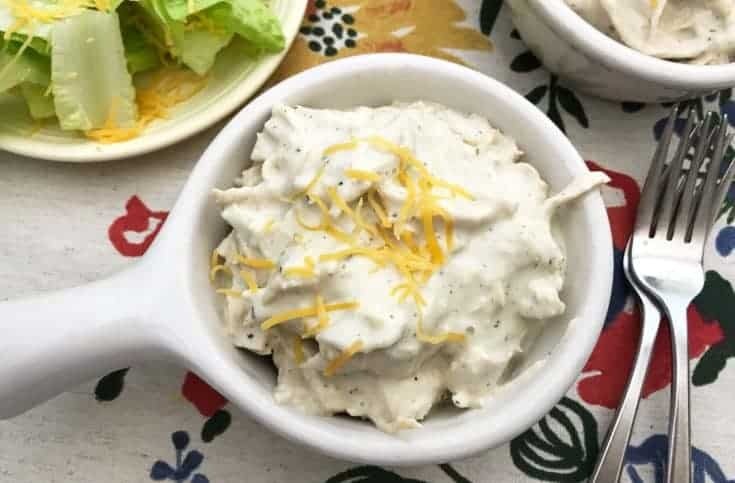 Place the chicken back into the instant pot and stir in the shredded cheese. 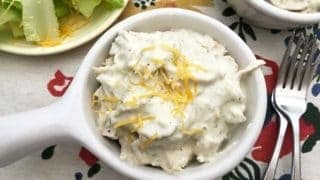 Garnish with more shredded cheese if desired and serve over cauliflower rice as a low carb option or noodles. 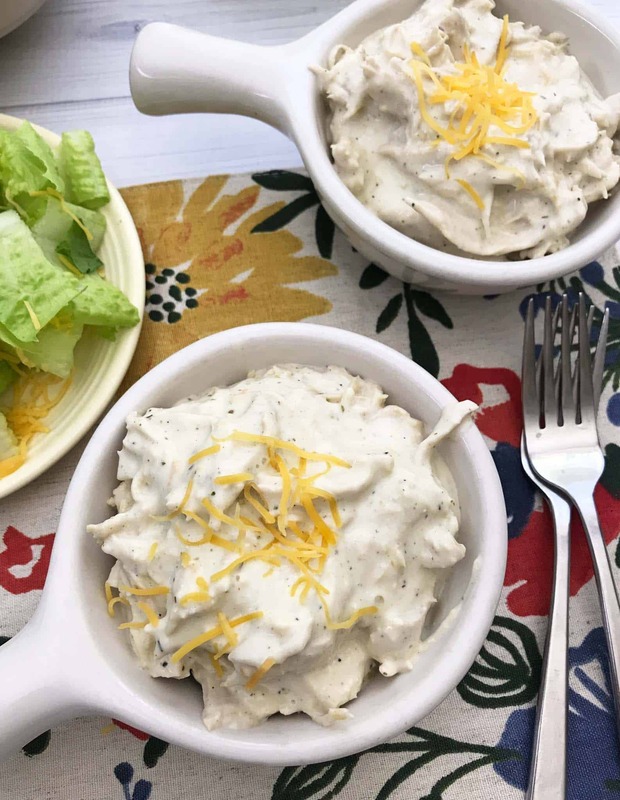 This is a recipe for for cheesy ranch chicken in the instant pot. 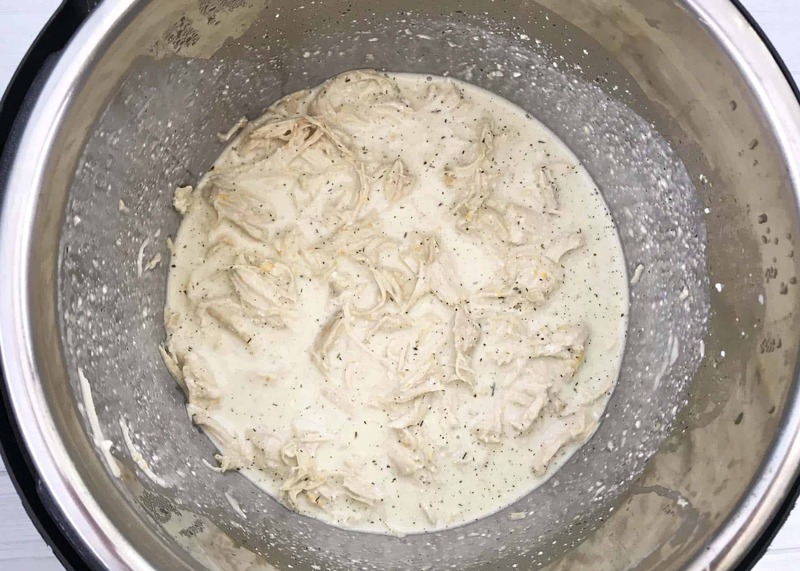 Place the cream cheese, ranch seasoning and chicken broth over the top of the chicken breasts. Place the lid on the instant pot and press the manual setting. Set the timer to 10 minutes making sure the quick release valve is closed. Once the timer has gone off after cooking then do a quick release. Carefully open the lid. Remove the chicken and shred using a fork and knife. Garnish with more shredded cheese if desired and serve over cauliflower rice or noodles.